Thursday night I had an interesting conversation with an acquaintance who grew up in West Berlin and now lives in Munich. For over a decade he was head of product direction for Porsche, a car company in Stuttgart. But that wasn’t the most fascinating part of our discussion (though some comments on their all electric strategy were extremely interesting). What fascinated me was a comment he made about how much crime had risen in West Berlin after the Berlin Wall came down and East Germany was freed from it’s socialist masters. Remember that after WWII Germany was divided into the democratic and free West Germany and the Socialist and not so free East Germany. Berlin, located in what was now East Germany, was also divided into a democratic and free West Berlin and a Socialist and not so free East Berlin. West Berlin was effectively a democratically free island in the middle of a Socialist country. 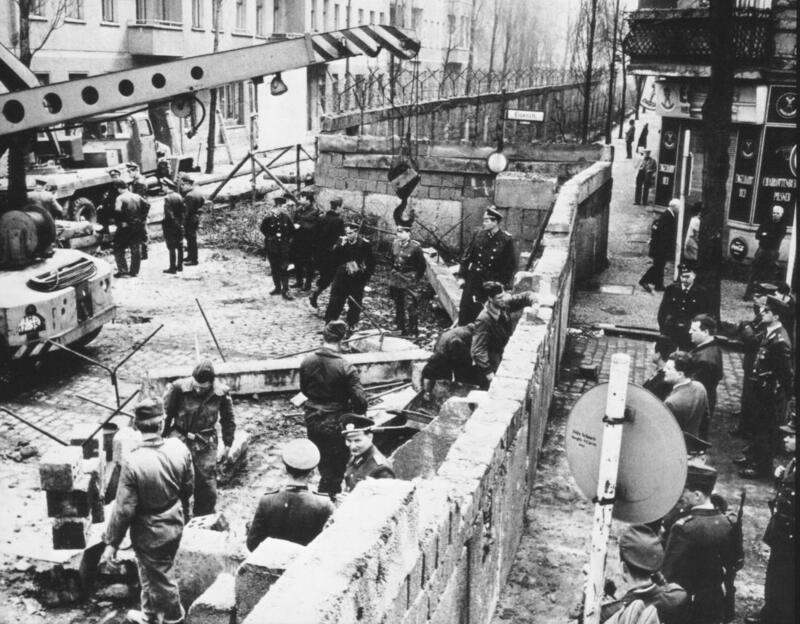 People who lived in East Germany, except for those in West Berlin, were not allowed to leave the country without difficult-to-get permission from the government. This was, according to the East German government, for the safety of the people and to prevent the infiltration of fascists who might hinder the will of the German people in establishing the socialist government they desired. 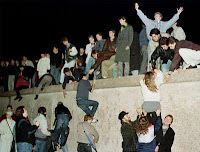 It was not until 1989, just 21 years ago, that the wall came down and East Germans were given their liberty. Stefan said that when they wanted to travel out of their West Berlin island they had three options. The easiest was to fly, but that was expensive in the 60’s and 70’s when he was growing up there. There were two to four train lines, depending on when you counted, but this left you reliant on trains since car rental at that time was difficult. There were also three motorway routes they could take in their car between West Berlin and ‘the rest of the free world’. These routes had been part of ongoing negotiations since the end of WWII and the treaties that divided Germany between, effectively, itself (the three occupation zones of the U.S., U.K, and France – what became independent West Germany and West Berlin) and Russia (Socialist controlled East Germany and East Berlin). Since these motorways went through East Germany there were a number of restrictions. Before travelling they had to obtain a travel permit from the East German government specifying which route they wanted to use and when they desired to do so. “The Germans would never give you the dates you requested, it was always off by one or two.” Once they left West Berlin they had to drive straight to the border within the time allotted on their permit. They were not allowed to leave the motorway for any reason nor have any contact with any East Germans. On each end of their East German journey they were subjected to a search by East German authorities. All of their luggage was put on big tables, emptied, and searched, their car was searched, and each person received the official East German personal search (pat-down and feel-up). On the other hand, they all felt a great freedom once they passed “into the west.” “We’d drive from country to country with only quick passport checks at the borders.” He said that they would often drive around just to experience the freedom of crossing borders so effortlessly (this was before the EU so all European border crossings involved at least passport checks), experiencing all of the different cultures and food, and to buy things that were just too expensive in West Berlin. He said that his sister who lives in Frankfurt won’t travel to the U.S. now because the new TSA procedures remind her too much of those East German border crossings. And the rise in crime he’d mentioned? Because West Berlin was such an island there was just about zero crime. If you committed a crime, there was nowhere to go and hide. You simply couldn’t commit a crime without getting caught. After the West/East divides came down the crime rates soared and for a while were higher than the rest of Europe (though they’re now lower than the European average). But Stefan said that though crime was up, they were free. And remember, he lived in free West Berlin. No more travel permissions. No more pat-downs at border crossings. For he and his family there was no contest between old and new. They’d take the massively higher crime to have their freedom. There’s no way, he said, that they’d trade those freedoms they’d gained for lower crime or more safety. When does the scale tip for us? When have we given up so much to the Department of Homeland Security and their TSA that whatever it is they do or do not provide isn’t worth it? At what point does our government impinge on our life, liberty, and happiness more than terrorists or others who might threaten us?